The nose is located in the center of the face, which makes even slight imperfections more easily noticed. Rhinoplasty is a complex procedure since many structures and tissues must be manipulated within such a small area. Nose surgery must not only provide an aesthetically pleasing result, but it must also allow the nose to function properly for breathing. Final results are predictable, but the ability for the skin to heal properly cannot be predicted or significantly controlled. Patients who do not follow their surgeon’s postoperative instructions can negatively impact the final results. If the initial surgeon had little experience or was not a rhinoplasty specialist, this can also negatively impact the final results. A couple of months after rhinoplasty surgery, patients often worry that their final result is not what they expected. In actuality, the final results of the procedure have not yet become apparent. For most patients, the most noticeable swelling will resolve within a few weeks, but the final 20 percent of swelling can take a year or even longer to dissipate. Patients are encouraged to wait at least that long after their initial rhinoplasty before considering a revision. If a patient is simply unhappy with the aesthetic aspect of their new nose, they should consider revision rhinoplasty very carefully. Revision surgery will be an even more complex procedure than the initial surgery. It also usually costs more and may not even yield the results the patient desires. However, a consultation with a rhinoplasty specialist will best determine the success of the revision procedure for their unique case. 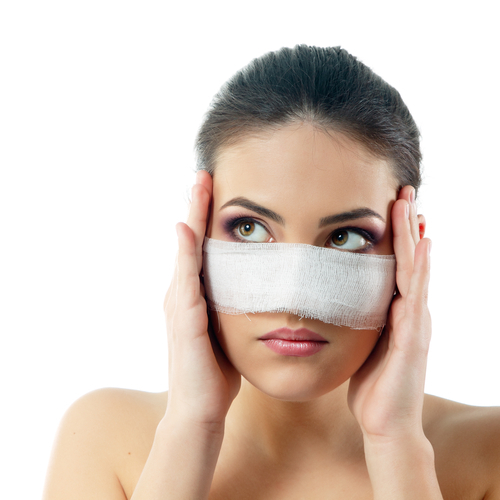 Communicating your desires for the procedural outcome is of utmost importance with any plastic surgery procedure, but especially with rhinoplasty. Once you express all of your concerns and desires, the surgeon can let you know if your expectations are realistic based on your skin type, bone structure, health history, and many other factors. Your rhinoplasty surgeon will also be able to tell you how difficult those results may be to achieve based on the information you communicate. Many patients are tempted to remove their splint sooner than their surgeon advised, or they may manipulate their swollen nose, thinking that this will somehow improve the outcome. If you have chosen a surgeon that has performed many rhinoplasty surgeries, he or she knows the best approach to recovery. Your surgeon also knows best because he or she understands your particular case as well as the specific techniques used during your surgery. Failure to follow your surgeon’s instructions can definitely compromise your final results. A patient who is considering primary or secondary rhinoplasty should not cut corners when it comes to choosing a surgeon. They should view plenty of rhinoplasty before and after photos of the surgeon’s patients, and make sure the surgeon is board certified in plastic surgery. Almost always, the more experience the surgeon has with the procedure, the better. Dr. Wise is a double board-certified plastic surgeon. He has dedicated his career to focus exclusively on plastic surgery of the face, head, and neck. As such, he has completed countless successful rhinoplasty procedures and is one of the top plastic surgeons for rhinoplasty in the Wayne, New Jersey area. Dr. Wise’s background in facial reconstructive surgery also gives him an added advantage in the operating room. Whether you are considering rhinoplasty surgery for the first or second time, Dr. Wise can answer all your questions regarding the procedure during your consultation. To schedule an appointment, please call the Wise Center for Plastic Surgery at (888) 295-6933. For your convenience, you may also fill out our online contact form.